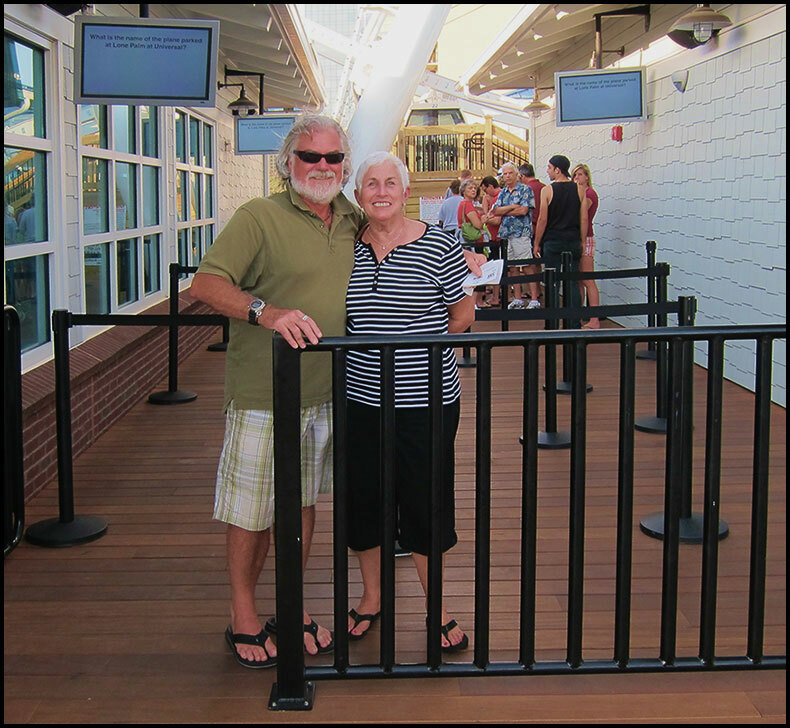 Ruann and Alan, waiting to board a gondola on the Myrtle Beach SkyWheel. 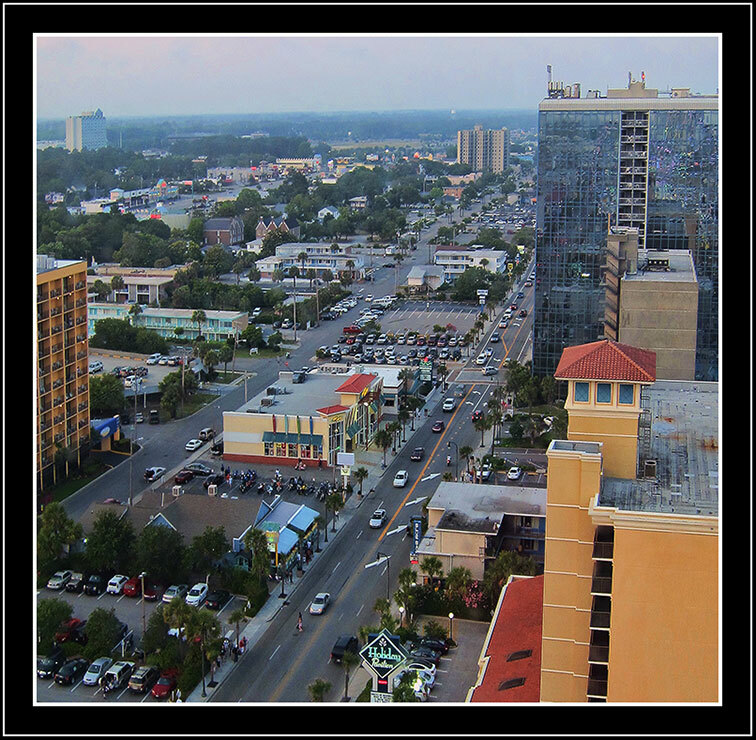 Views of Ocean Blvd. 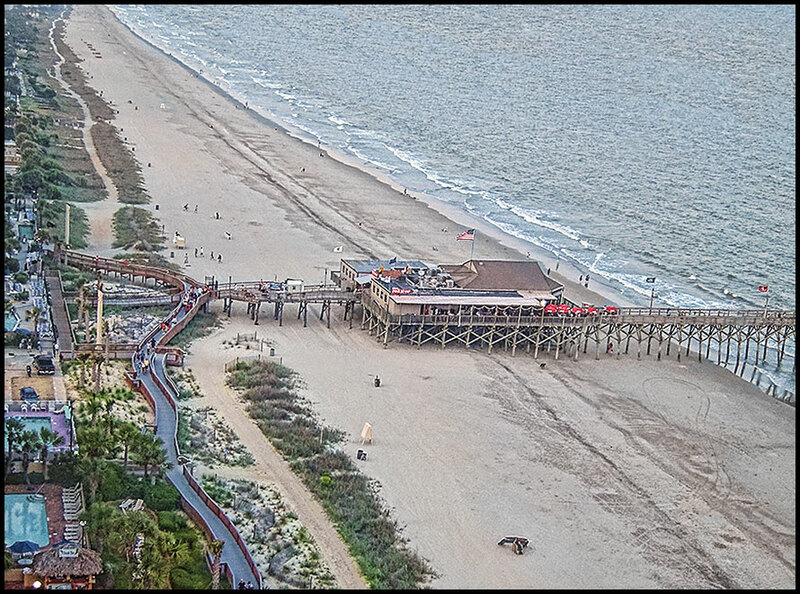 and the Myrtle Beach shoreline from the Sky Wheel. 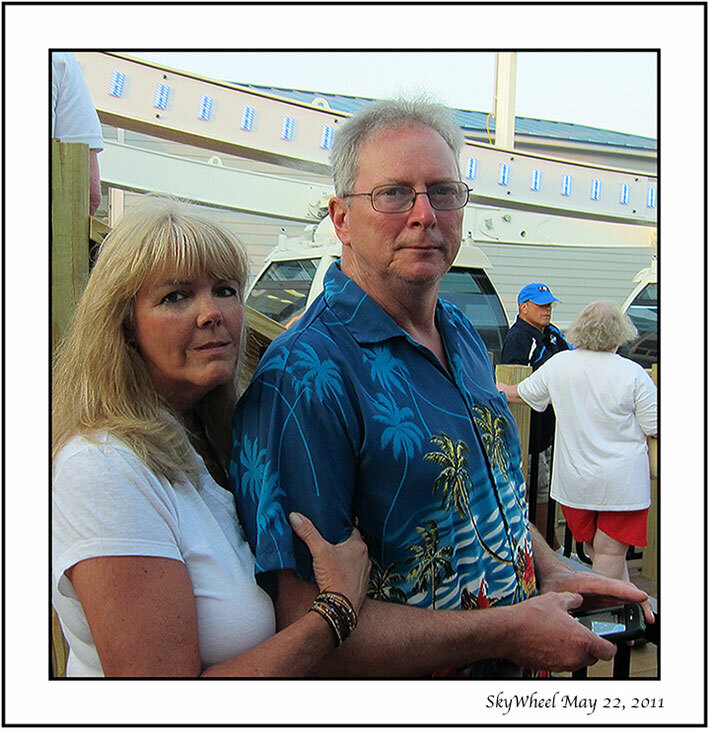 Gary and Gail getting ready to board the SkyWheel. 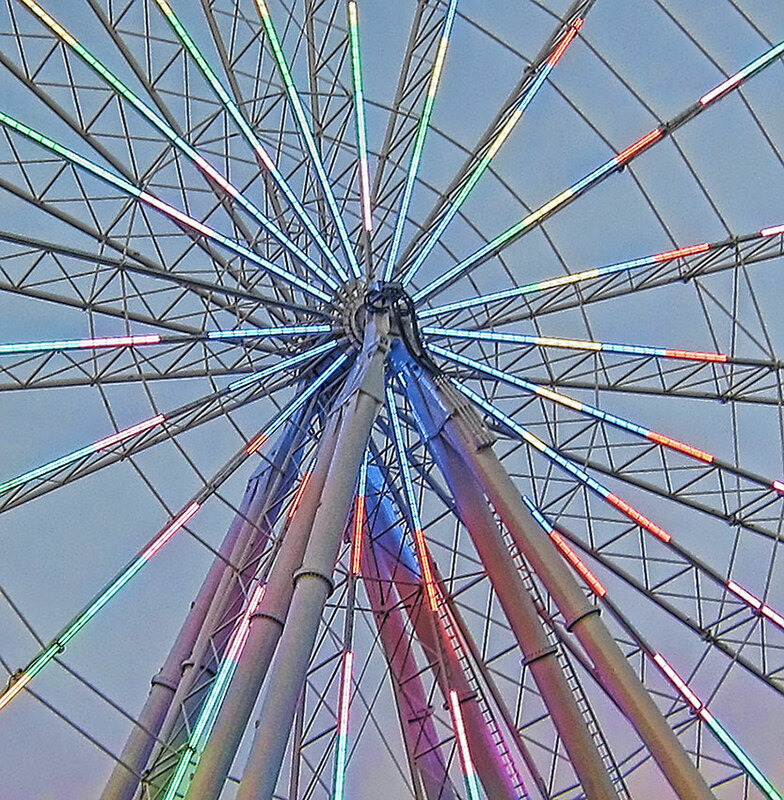 The LED light show as the SkyWheel turns various colors. 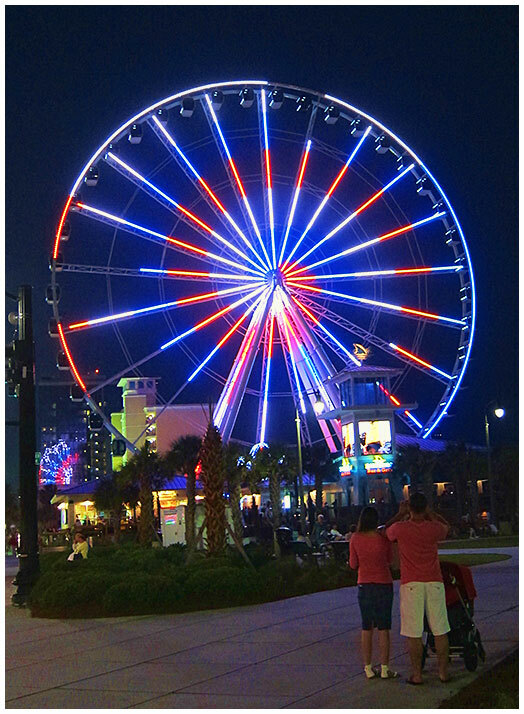 The Myrtle Beach SkyWheel is located on the Oceanfront Boardwalk. 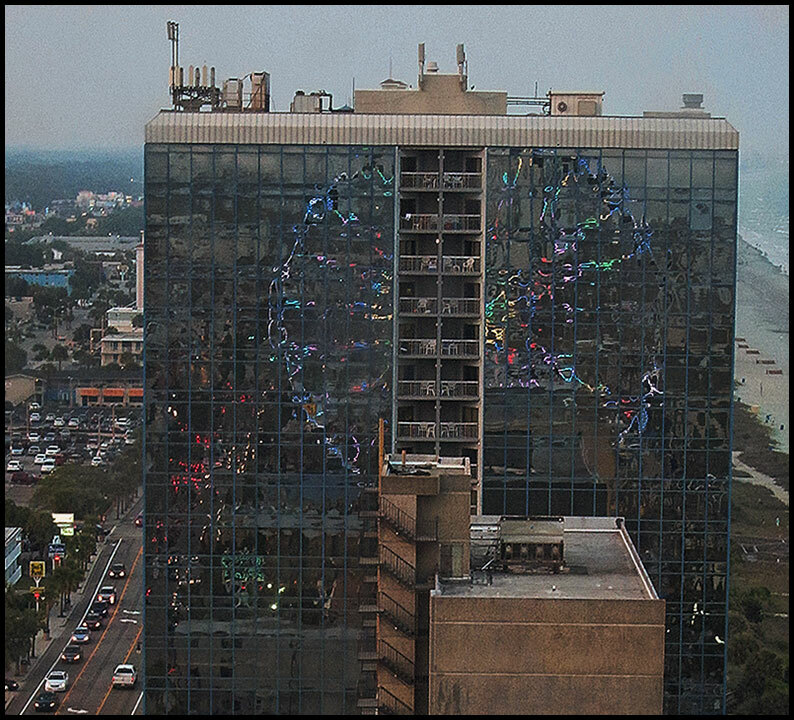 It measures 200 ft. above sea level, and it offers 42 climate controlled Swiss-manufactured enclosed gondolas and an impressive LED light show nightly. 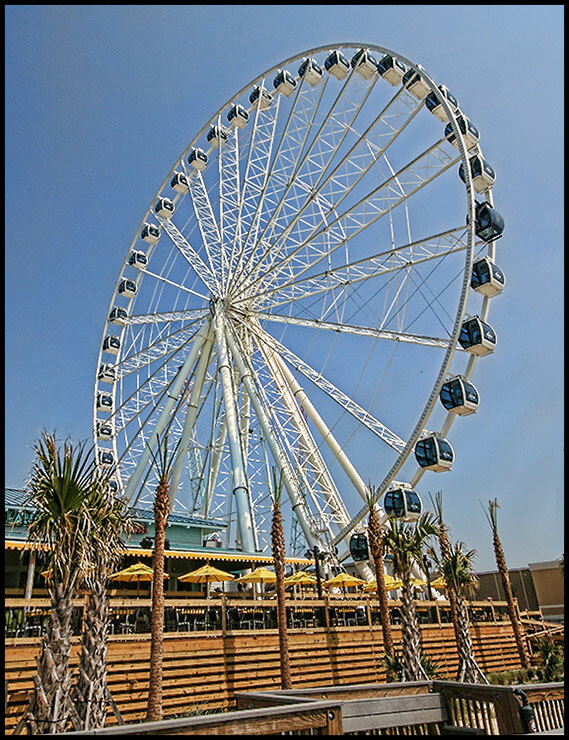 Link to official Myrtle Beach SkyWheel site. 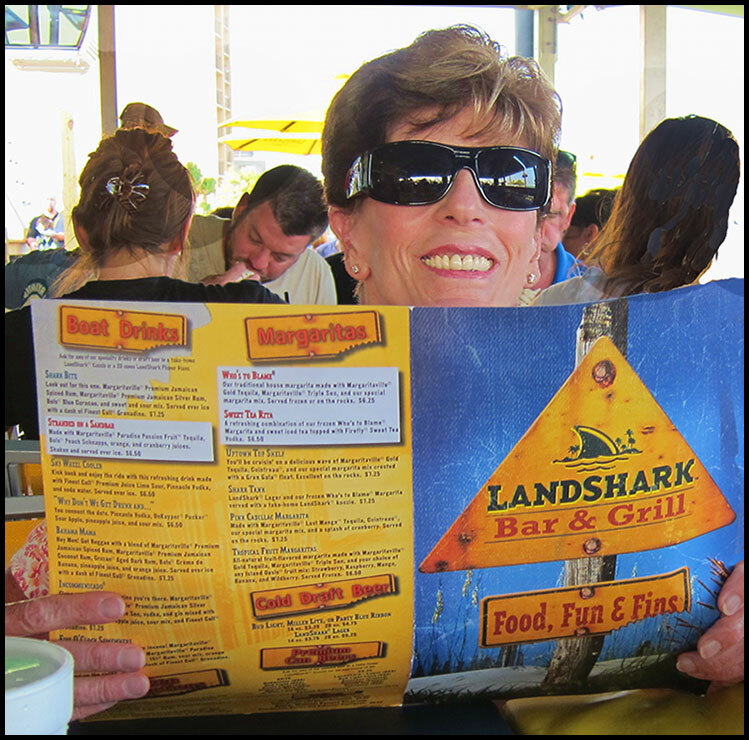 The Sky Wheel looms over Jimmy Buffett's LandSharkRestaurant. 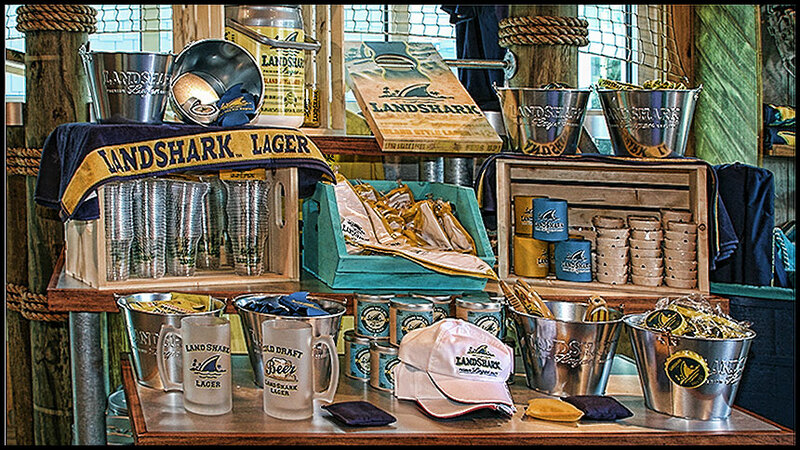 Inside the LandShark Store. 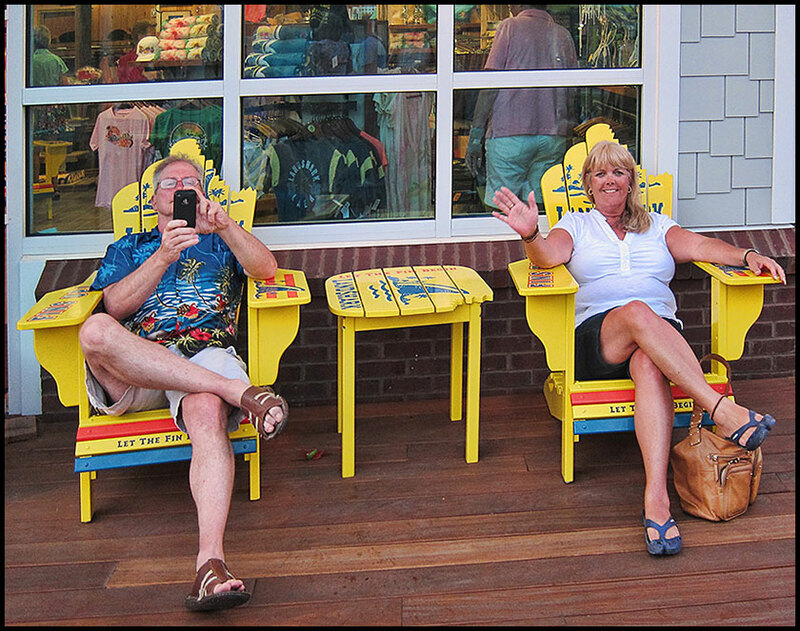 Ruann and Alan, near the SkyWheel! 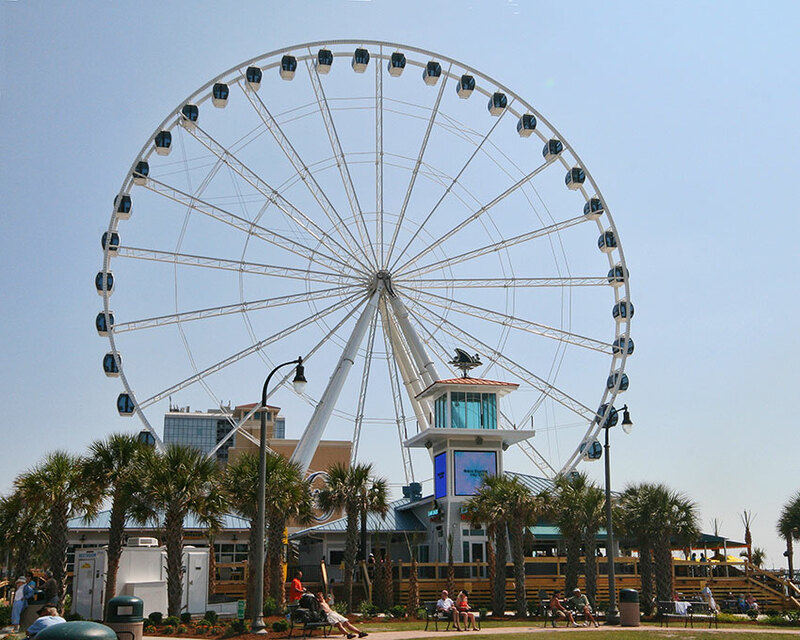 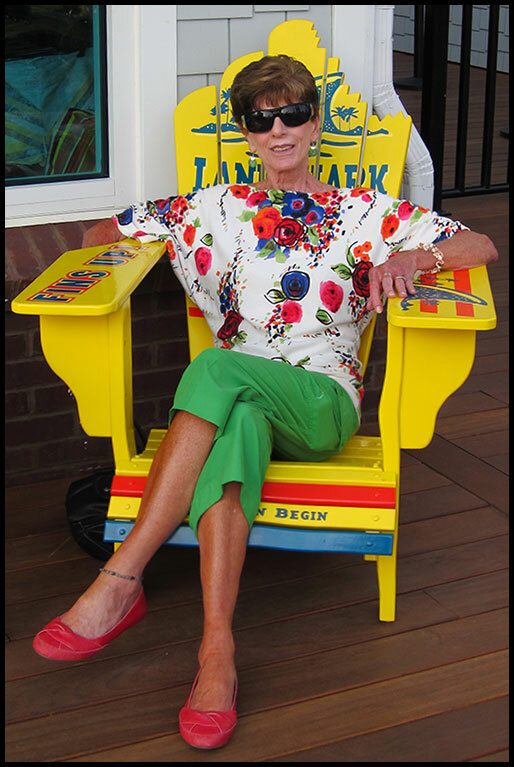 The Myrtle Beach Sky Wheel opened in May, 2011, along with Jimmy Buffett's Land Shark Bar and Grill. 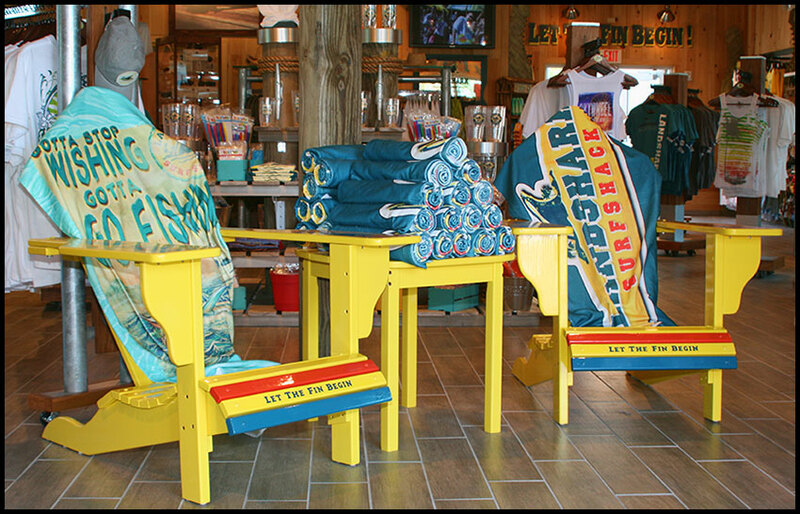 Next door to the SkyWheel, you'll find the Land Shark Surfshack where you can purchase both Sky Wheel and Land Shark souvenirs. 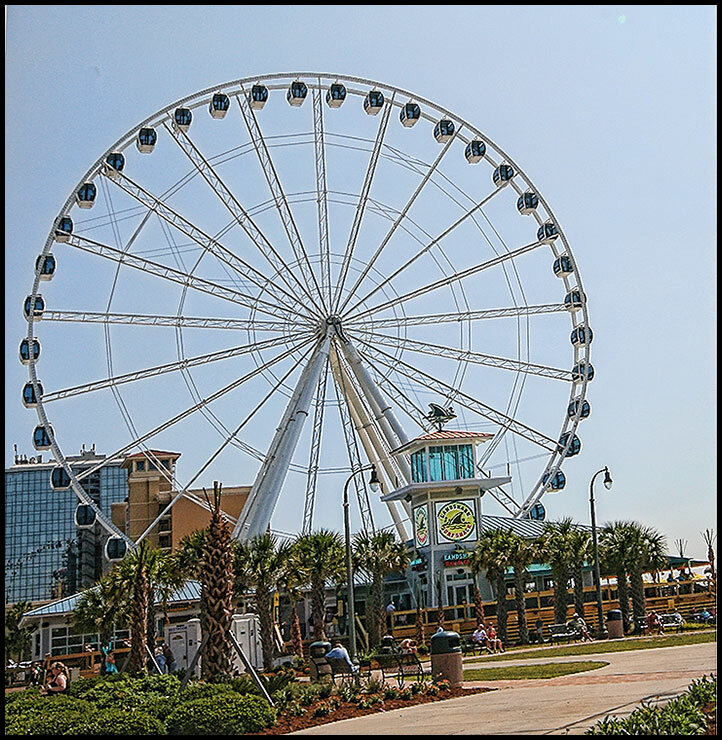 Located at the North end of the Myrtle Beach Boardwalk, the Sky Wheel is 200 feet tall, and it's the best way to see Myrtle Beach! 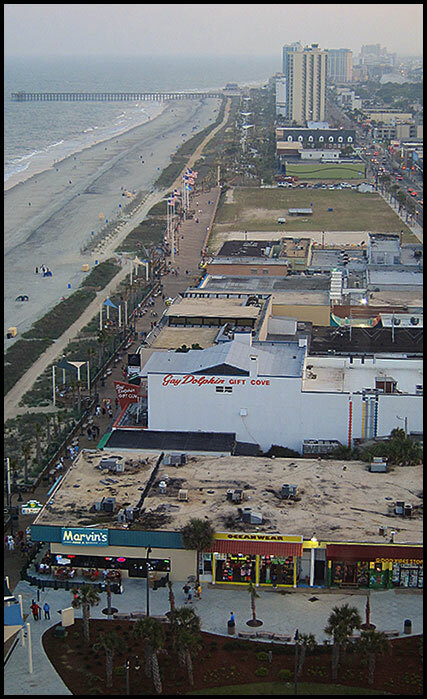 It's quite an amazing panoramic view from the Boardwalk to the ocean, including views of Downtown Myrtle Beach and beyond. 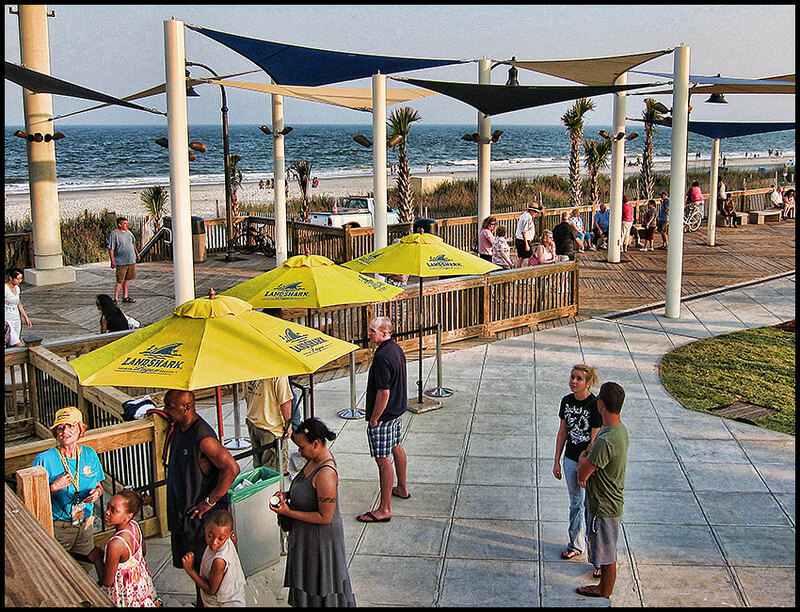 Tip: Pick a sunny cloudless day, or go after dark to see the lights of Myrtle Beach. 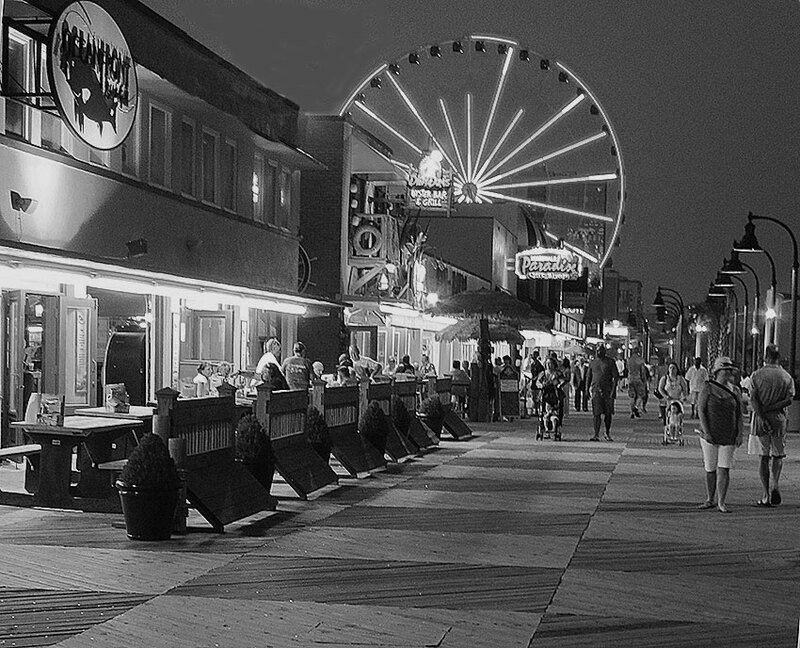 The SkyWheel boasts 42 climate controlled gondolas that seat up to six people. 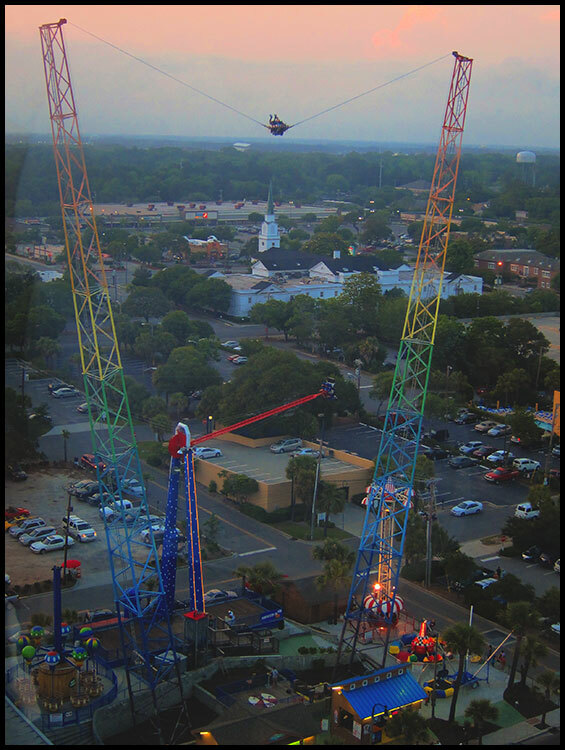 Each ride lasts around 10 - 12 minutes and offers excellent panoramic views. 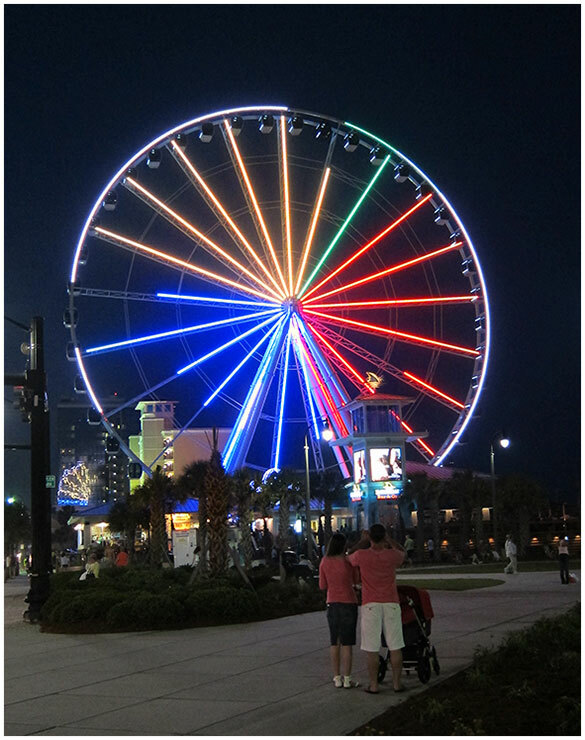 At dark you'll enjoy an awesome LED Light Show, showing the Sky Wheel in vivid colors!